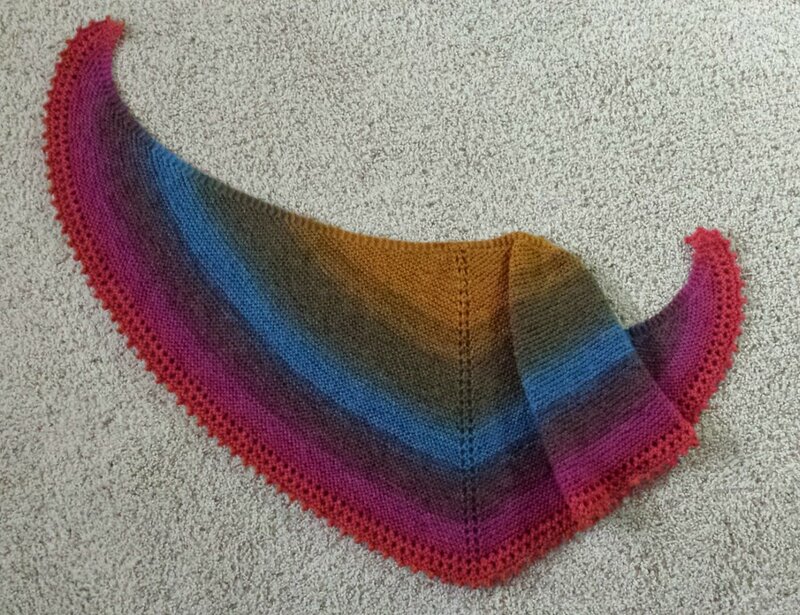 My version of Simple Shawl by Jane Hunter has generated some inquiries on Ravelry and from members of our neighborhood Wednesday afternoon knitting and crochet group. 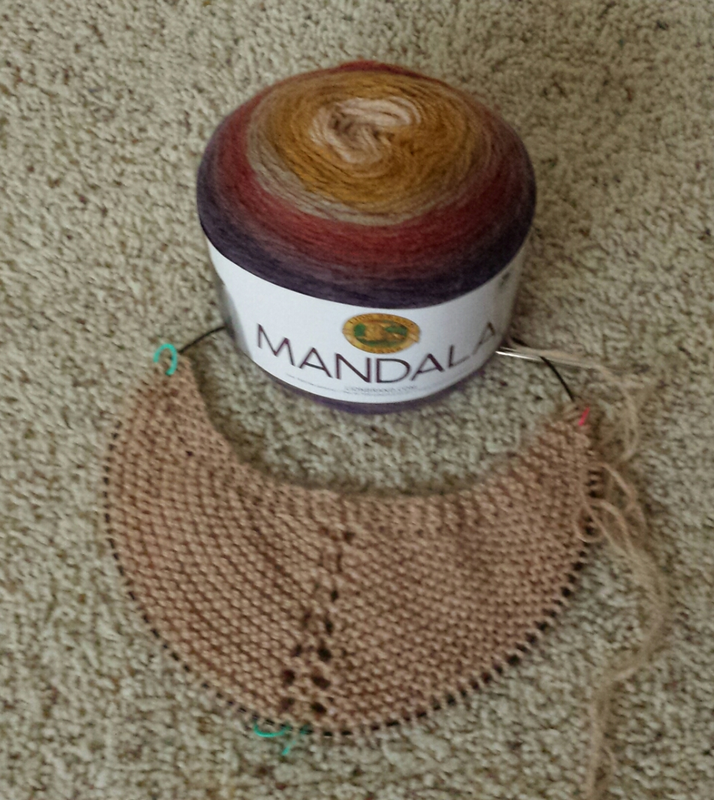 I made an effort to write up my variation into a pattern that works with one cake of LionBrand Mandala yarn. If you would like to read through it for errors or make a test knit, I would love the feedback. Click on the linked caption under the photo or look at the side-bar links for Tutorials and Sew Wonderful Simple Shawl. I love this pattern! It was very easy to follow and work up. I'm making my second one now :-) I did make a correction to my copy, to include "SM" before and after the K1 in Section 2, row 1. Very minor, but may save others the confusion I faced the first time through :-) Thanks for the pattern!! Thank you, Angie!! I need to do some blog entries and will add editing the pattern on my list.